Per the negligent entrustment rule, vehicle owners are liable for damages if they allow people to use their vehicles and those individuals negligently injure someone else. However, because of the Graves Amendment, this rule has limited applicability in commercial transactions, such as those that involve U-Haul and other moving truck rental cases. This issue is significant, because most adults move eleven times in their lifetime and, to save money, many eschew professional movers in favor of do-it-yourself truck rental. Accidents are common, as many of these large vehicles are difficult to maneuver on side streets and they would normally require commercial drivers’ licenses. In the mid 2000s, many people expressed concern over small vehicle lease franchisees that may be faced with large liability judgements, especially after a Connecticut jury ordered a car rental agency to pay millions of dollars after a customer caused a fatal fireball collision in a rented vehicle. So, Rep. Sam Graves (D-MO) attached what would become 49 U.S.C. 30106 to an omnibus transportation bill. Attaching policy riders to large spending bills is a common, albeit frowned upon, practice among lawmakers. The Graves Amendment is typical of such policy riders, to the extent that there is no legislative history, other than a few minutes of floor debate, in support of the provision. Therefore, since courts are almost entirely on their own when it comes to interpreting the Graves Amendment, an assertive attorney with well-reasoned arguments can make a tremendous difference in these cases. In the trade or business of vehicle leasing. Due to the lack of legislative history, it is impossible to know what lawmakers meant by the pivotal phrase “trade or business,” since it is nowhere defined. However, the IRS does define the phrase. Per the Service, an organization is a “trade or business” if it regularly conducts an operation and has a profit motive. Since the Graves Amendment adds “of renting or leasing motor vehicles” to the phrase, it seems that, for immunity to apply, the company must be regularly engaged in vehicle leasing. The problem is that many truck rental outlets are really moving and storage companies which sometimes rent trucks, and arguably, that arrangement does not constitute “regularly” renting moving trucks. The second phrase, “not negligent,” is nebulous as well. Based on industry standard, companies may be negligent if they rent a vehicle to a person with a very poor driving record or a suspended drivers’ license, and that person causes a car crash. 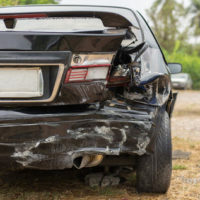 If the victim is seriously injured, damages in a Florida car crash case include compensation for economic damages, such as medical bills, and noneconomic damages, such as pain and suffering. In most cases, if there is more than one responsible party, the judge will apportion damages between them based on their percentage of fault. It is difficult, but not impossible, to hold vehicle owners liable for damages in commercial negligent entrustment cases. For a free consultation with an experienced personal injury lawyer in Brandon, contact Reed & Reed.